The Turbo Vado 3.0 is made to accommodate busy lives that are always on the go. 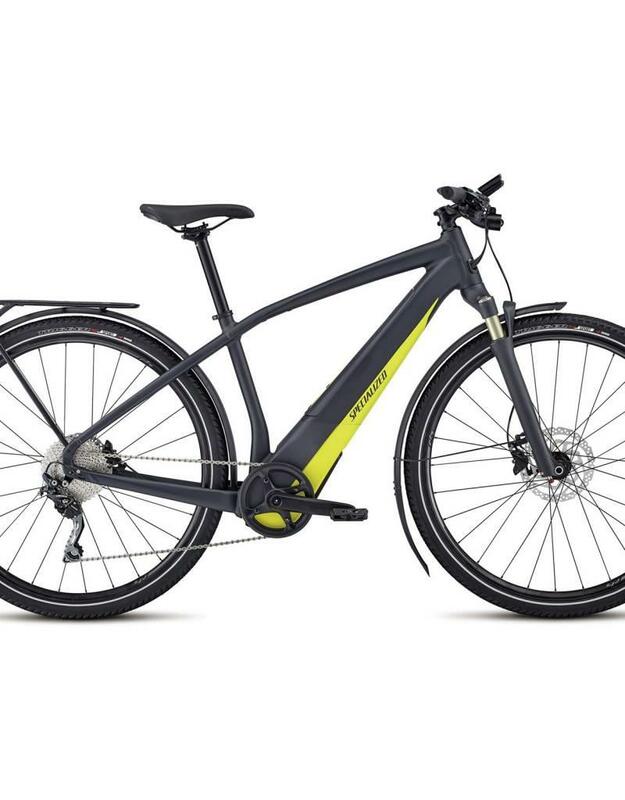 Beginning with a completely redesigned and integrated Specialized 1.2 motor, the Vado proves itself as the ultimate city bike. The Rx Street Tune takes the efficient output and makes it most usable for the urban environment—reacting to the amount of force you apply to the pedals. The more power you put out, the more power the motor puts out, and this makes accelerations from a standstill both quick and efficient. A custom Specialized U1-460 battery seamlessly integrates into the frame, is lockable, and easily removable for simplified charging. With this battery, the Turbo Vado will deliver a pedal-assisted boost up to 93 miles in Economy mode, 40 miles in Sport mode, and 25 miles in Turbo mode. We also developed a custom-for-Vado 2.2-inch computer with the German powerhouse, BLOKS. With this touchscreen smart computer, you’re able to connect, via Bluetooth®, to our Turbo Vado Mission Control App for full control over your Vado. This app allows you to tune the motor to your personal preferences, it eliminates range anxiety through the Smart Control function, and it offers the rider a wide range of features, like including navigation, tracking, diagnostics, and ride history. 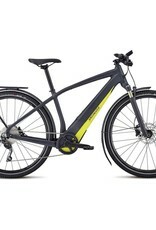 To top off all of that, the Vado features a worry-free spec including a range of Shimano 10-speed components, powerful hydraulic disc brakes that stop on a dime, racks to dutifully carry your stuff, and fenders to keep you dry on wet days.